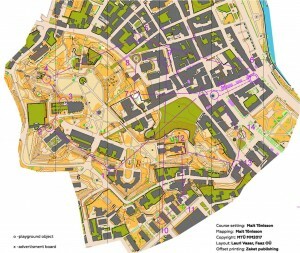 Having at last had the chance to walk around the sprint terrain in Tartu I completely agree with Tim’s comments that he posted on his blog regarding the courses from yesterday. 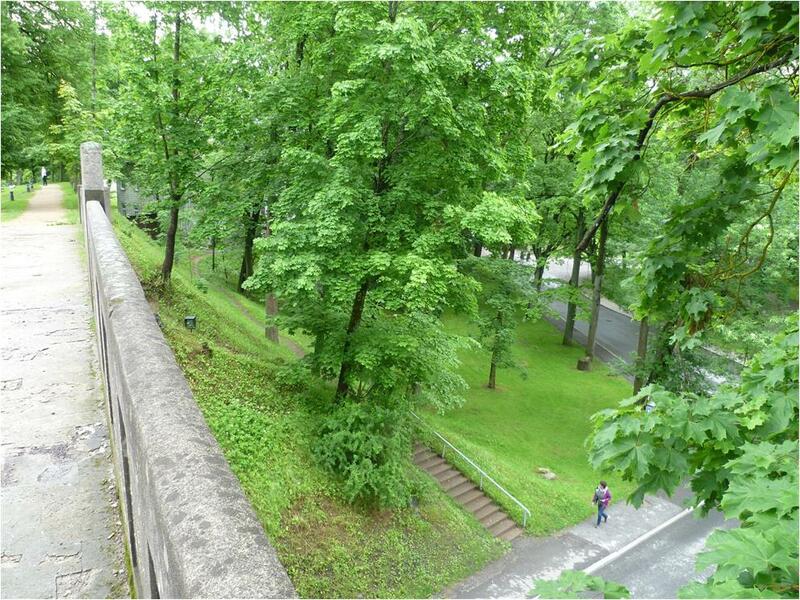 To qualify – what a magnificant sprint area it was up on the hill: grassy slopes with a network of paths between statues, bridges, buildings, but all with relatively low visibility due to the tree cover; But, with a capital B. – what an opportunity missed to set really technical, physically challenging sprint courses. I can imagine what one of our top course setters would have done with this terrain to work with. Unfortunately, in my view anyway, the WOC sprint now appears to be being very much dictated by the requirement to make as much of a public, and TV, spectacle of it as possible. Arena run-throughs seem to be becoming ever longer and often, as was the case yesterday, the course leads into these with long road runs with little navigation required. No-one has any problem with the occassional long leg, but look carefully at the map and you see that there is in fact very little route choice on many of those that were offered yesterday. Once the approach into the control was decided the route was more or less dictated. Without doubt this is tilting the sprint event away from the kind of technical race that we see in New Zealand where there is a premium on continuous rapid decision making and navigation. More and more the WOC sprint seems to becoming a road/path time trial and this is going to demand some consideration of how NZL approaches future WOC sprints – especially when WOC splits into having a purely sprint WOC every other year starting with Denmark in 2020. Fortunately, at this stage anyway, this problem seems to be confined to WOC, but with live TV coverage of World Cuyps now becoming the norm it can only spread. Worth thinking about….